It's really amazing how many computer users out there create large audio and video projects and play the latest games too. But if you've ever been on a system with a small or limited amount of memory, all that creativity can come to a stuttering, grinding halt resulting in a frustrating experience. Thankfully, RAM is cheaper than ever so there really isn't an excuse for not upgrading. And, If you're using one of the many excellent Intel Z68/Z77 and AMD 8/9 series motherboards, chances are your board supports up to at least 32GB of DDR3 memory. We've assembled a great group of memory kits all worthy of your consideration. Some are intended to support gamers, others pander to content creators, while some call out to niche system modders and overclockers. 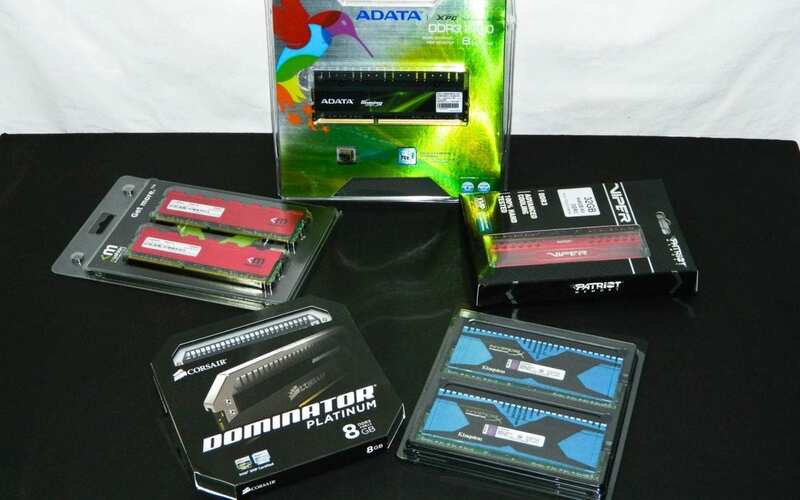 We're having a look at the Mushkin Enhanced Redline 1600, Kingston HyperX Predator 1866, Patriot Memory Viper III Venom 2133, ADATA Game Series V2.0 2400 and Corsair Dominator Platinum 2666 memory today to see how they measure up. 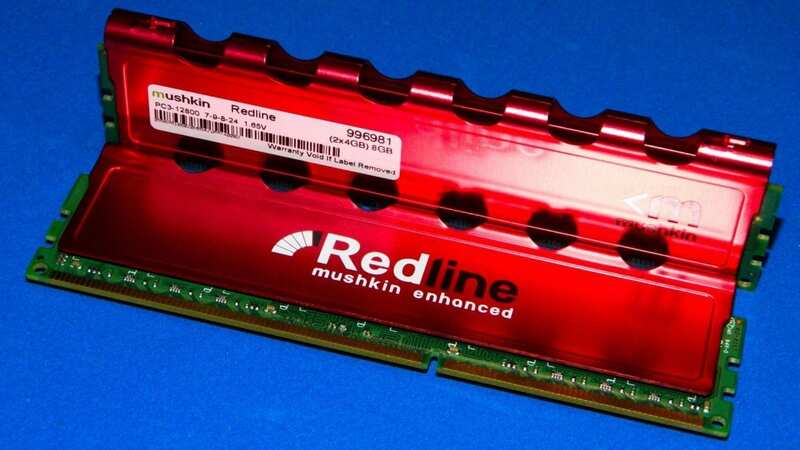 Mushkin offers three DDR3 series kits inckuding the Redline, Blackline, and Silverline. The Silverline is their mainstream low profile kit, followed by the Blackline which caters a bit more to performance enthusiasts. Finally, the Redline is their elite in terms of performance. The Redline can be found with three different heat sink styles; FrostByte, Ridgeback, and Ridgeback Redline. There is an older less commonly seen Radioactive heat sink still out there as well. The Redline starts at 1333MHz and tops out at 2400MHz for dual, triple, and quad channel systems. Our 1600MHz Redline kit is sports the Frostbyte heat sinks which are actually a deeper, much better looking red than what the product page describes. While it seems like an entry level 1600MHz kit, it actually has 7-8-7-24 memory timings meaning it has the best timings any stock memory kit offers. It also means that the kit is capable of overclocking assuming your CPU is up to the task. This particular dual channel, high performance, low latency 1600MHz Redline 8GB kit can be purchased for $69.99. It's the premium ICs underneath the spreaders that command the pricing. There aren't many CAS7 memory kits like these 2 x 4GB either, but they still manage to be aggressively priced versus the competition. 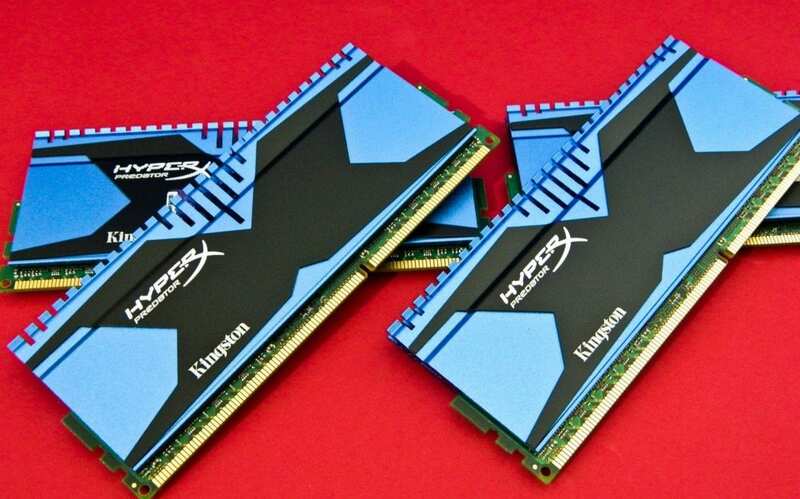 The Predator memory is the latest design from Kingston, and replaces the older T1 HyperX as the top end spreader design. The Predator supports dual channel Z77 and quad channel X79 motherboards with full support for XMP profiles. Of course, three will also work on triple channel X58 boards too. The Predator series currently starts at 8GB and moves up to 32GB capacities. Quad channel X79 motherboards support native 1600MHz DDR3 but can overclock depending on the motherboard. This makes our 1866MHz 9-11-9-30 the ideal quad channel kit for overclocking. Dual channel Predator kits max out at 2666MHz since Z68/Z77 motherboards offer higher overclocking headroom with dual channel support only. Keep in mind, very few Ivy Bridge processors can achieve frequencies this high so your mileage may vary. The quad channel 1866MHz Predator can be picked up for around $100 which works on both dual and quad motherboards. If you need dual channel CPU melting 2666MHz frequencies, the 8GB kit will set you back $172 US/CA. If you're really lucky, you may be able to find their 2800MHz dual channel kit. But you'll find very, very few CPUs capable of keeping up with it. 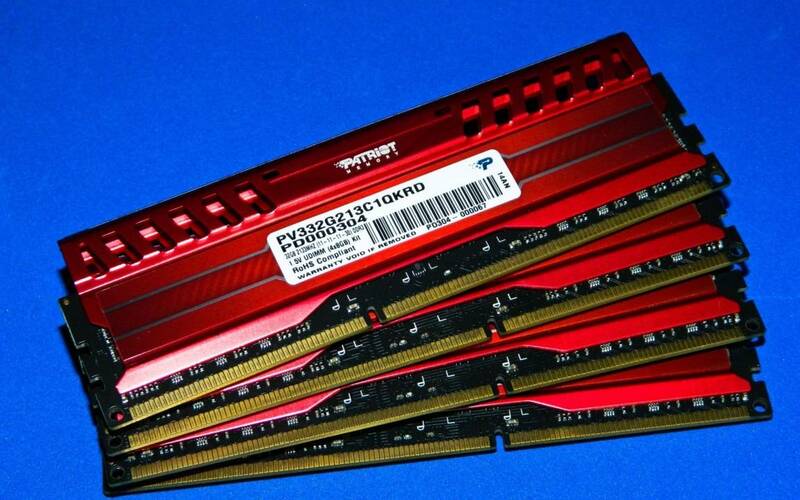 The more common 2x4GB 1866MHz kits can be found for as low as $61.14 US. We've handled the new sporty Viper III kits before including the Mamba and Intel Extreme Masters. They perform quite well since they utilize Hynix memory modules onboard and come in different colors which all range in speeds from 1600 to 2133MHz. Frequencies that pretty much cover every Z77 and X79 motherboard supporting Sandy and Ivy Bridge processors. The Venom red color should appeal to modding enthusiasts and folks that want something that looks great through a side window in their high end system. Like all Viper III kits, the Venom comes in dual and quad channel flavors up to the 2133MHz as tested. The timings are 11-11-11-30 on this kit though we've had luck getting them to run at 10-11-11-30 latences as well. Stock voltage is 1.5 volts is compatible on 1.65V systems. Dual channel 8GB kits start at $43-50 and quad channel 16GB kits at $100 from the usual online places. If you're looking for more, it almost doubles in price for 32GB kits. The XMP certified Intel Extreme Masters are $57 and $104 respectively. Sapphire HD3 Mini PC Giveaway Presented by Futurelooks and NCIX PC!